The beret is a classic style that never dates, perhaps because it is so simple a design - basically just a circle. It's also very old, dating way back to the Bronze Age and although we associate berets with the French, they were worn in some form or other by the ancient Minoans, Romans and Etruscans and in various military organizations the world over. The reason for the French association is down to a particularly style of "Basque" beret, which was originally worn by Basque shepherds in the Pyrenees mountain region between southern France and Northern Spain. This style of beret was produced commercially by local craft people as early as the 17th century in Southern France and when industrialization hit in the 19th century, they were mass produced in factories. In early 20th century, the beret was considered a 'working class' hat and they were produced in the millions - by the close of the 1920s, there were at least 20 factories in France producing these head hugging circular hats. Due to their utilitarian function and no-fuss design (they were warm, kept the hair out the way and didn't fall off), they were sometimes worn by those wishing to make an anti-pretentiousness statement and perhaps this is the reason for the berets long association with bohemians, artists, intellectuals, film directors and miscellaneous revolutionaries. If you were looking for a hat with political undertones, the beret was it. From the 1920s on, they were also worn as sports and leisure wear in the West. Rarely has a simple hat carried such a variety of sub-texts - marxist, alernative, artistic, fashionista, working man etc. 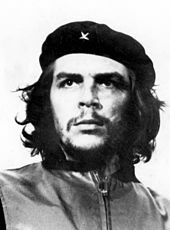 Che Guevara in his signature beret -The hat of choice for 20th century revolutionaries. 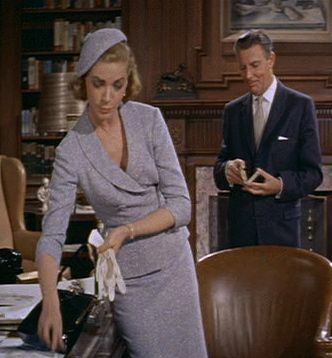 By the 1950s the beret had become a serious style statement, particularly in women's fashion and they beautifully complimented those short, pert 50s hair styles. Often they were paired with a smart suit or for a French arty look -a traditional black beret matched with a smock or striped T-shirt and jeans, skirt or pedal pushers.